Who needs an Aircraft Appraisal? Certified appraisals are recognized as the only legitimate documentation for determining the true current market value of a specific aircraft. It is an essential tool for supporting the collateral position of an aircraft loan portfolio. These Appraisals meet USPAP requirements and guidelines, the highest standard available. Discover the actual condition of the airplane, maybe contrary to that stated by the seller or broker, before spending hundreds or thousands of dollars on a pre-purchase inspection, on an aircraft that was not in the expected condition from the start. Discover the actual airframe, engine, and propeller times. Our Certified Aircraft Appraisals include an audit of these component flight times. Often, the current log book recorded times are inaccurate. Verify that all log books, FAA 337 forms, STC’s, updated weight and balance, and other required records are available. Is there any airframe damage history evident from improperly performed repairs, or major parts replacements, that were not revealed by the Seller? Damage history, even correctly repaired and documented, can devalue the aircraft by as much as 25%. Understand the extent of the most recent engine overhaul, and if it was legally “0” timed at that point. Many engine overhaul records reveal that the “overhaul” did not legally zero the engine hours-so it may actually be a high time engine now. Discover the presence of any visual corrosion on the airframe exterior. Are there any visible fuel or oil leaks? These can be very expensive to repair. Understand the exterior paint condition. Is it peeling away, or was it applied over a dirty surface? Any lifting from improperly prepared aluminum? Are the windshields and side glasses clear, cracking, or crazed? Our Appraisers will take photos to include with the report, and help you get a better picture of the actual condition. If your purchase includes financing from any type of lender, they may require a Certified Appraisal anyway. An appraisal can also assist in securing aircraft insurance with adequate hull value coverage. A certified appraisal provides persuasive evidence of the condition of their aircraft and helps support the seller’s asking price. A certified appraisal supports the fair market value of a specific aircraft that is part of an estate or corporate balance sheet, when evaluating property distributions and tax assessments. The Uniform Standards of Professional Appraisal Practice is published and maintained by the Appraisal Standards Board (ASB) of the Appraisal Foundation, a non-governmental entity charged by Congress with promulgating appraisal standards. The purpose of the Uniform Standards of Professional Appraisal Practice (USPAP) is to promote and maintain a high level of public trust in appraisal practice by establishing requirements for Appraisers. An Appraiser must protect the confidential nature of the Appraiser- Client relationship. An Appraiser must comply with USPAP when obligated by law or regulation, or by agreement with the Client or intended users. An Appraiser must perform assignments with impartiality, objectivity, and independence, and without accommodation of personal interests. An Appraiser must retain the work file (all appraisal notes, calculations, and supplemental information used in preparing the appraisal) for a period of at least five years after preparation or at least two years after final disposition of any judicial proceeding in which the Appraiser provided testimony in relation to the assignment, whichever period expires last. First, the Appraiser will handle the assignment as CONFIDENTIAL. 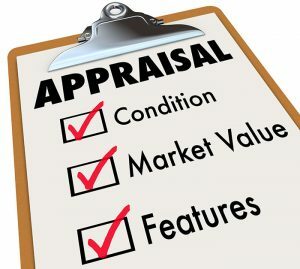 The appraisal report, and the value determined will be disclosed to the Client only. A visual examination of the aircraft-airframe inside (where accessible) and out, engines, propellers, instrumentation, avionics, and installed systems. Inventory of all instrumentation, avionics, and installed systems. Careful review of aircraft documentation, log books, and associated records. Calculation of the airframe, engine, propeller, and other relative component times. A thorough, minimum ten page detailed report and narrative explaining the findings of the above. The process of developing an appraisal is intricate. Due to the inexperience of many brokers and dealers, and the pressure to obtain a certain “number”, high values are far more common than low values. Whether you are a Buyer, Seller, Insurance Company Professional, or an Estate Executor, you have a major stake in ensuring that the stated value for an aircraft is reflective of today’s market. American Aircraft Appraisal performs aircraft appraisals anywhere in the world. Clients needing appraisals between Virginia and Florida have all travel costs waived! Our Certified Aircraft Appraisers are stationed in the United States, Europe, South Africa, Asia, and Australia, and are available to travel as necessary to work in any other region. Call or email us for a quote and availability. If you need the appraisal started quickly, just let us know. Often we can start our inspection the following business day.